A selection of baby blue mailing bags, all fully opaque and 60mu in strength. Perfect for most on-line businesses and mailhouses to ship their goods in, forming a very quick, professionally opaque yet affordable solution. Also sold by re-sellers on sources such as amazon and ebay. As one of the UK's leading importers of mailing bags, you will find our merchant prices extremely competetive. 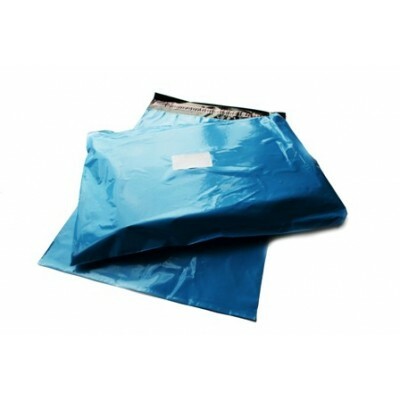 The range of grey mailing bags is the cheapest solution, as grey film is mass produced. However, the baby blue versions provide a great and glamorous feel, although a little dearer.